Precious metals shares are breaking out again after a brief consolidation. It’s time to channel your inner Old Turkey, realize this is a bull market and act accordingly. 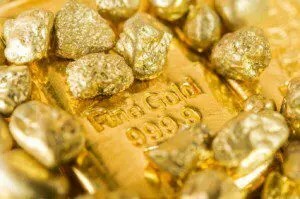 The above introductory comments are edited excerpts from an article* by Jordan Roy-Byrne, CMT (TheDailyGold.com) entitled Gold & Silver Stocks: It’s Old Turkey Time! The following article is presented courtesy of Lorimer Wilson, editor of www.munKNEE.com (Your Key to Making Money!) and www.FinancialArticleSummariesToday.com (A site for sore eyes and inquisitive minds) and has been edited, abridged and/or reformatted (some sub-titles and bold/italics emphases) for the sake of clarity and brevity to ensure a fast and easy read. This paragraph must be included in any article re-posting to avoid copyright infringement. Those familiar with Jesse Livermore and the book Reminiscences of a Stock Operator know who Old Turkey is. He was Mr. Partridge, an old trader who dispensed great wisdom in few words. Those at the office nicknamed him Turkey because of the way in which he strutted around with his chest puffed out. It’s time to channel your own inner Old Turkey and realize that this is a bull market in mining stocks. The evidence is overwhelming…. The first image below is a weekly chart of my new top 40 index. It includes 28 gold stocks and 12 silver stocks. The median capitalization is nearly $750 Million and 15 of the companies are worth $1 Billion or more. 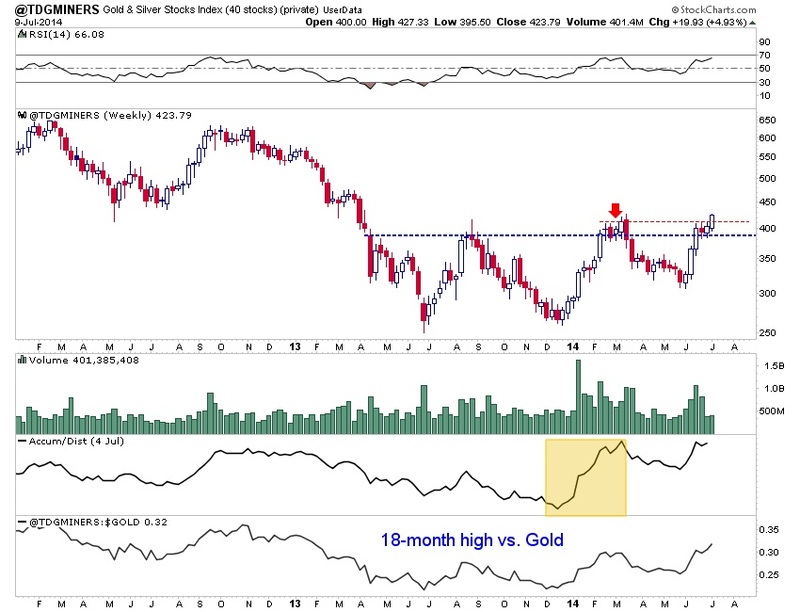 the huge accumulation during the winter and the relative strength against Gold [as shown at the bottom of the image]. 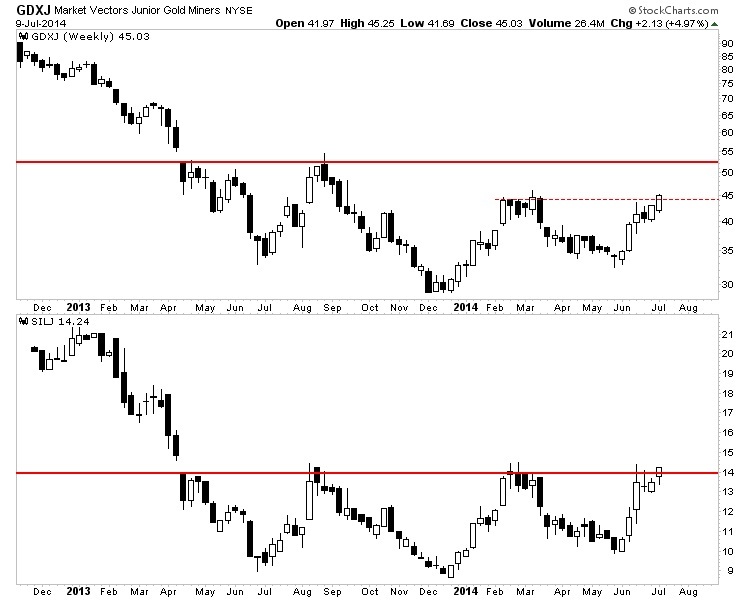 Staying with weekly charts, below is a look at the juniors via GDXJ and SILJ. With a bit more strength to close the week GDXJ will form a higher high and reach a 10-month high. The next resistance isn’t until $52 while the next major resistance isn’t until $70. Meanwhile, if SILJ closes the week at the current level then it would mark the highest weekly close in 15 months. SILJ is starting to breakout from a very well defined head and shoulders pattern which projects roughly 30% upside from Wednesday’s close. there could be a lingering fear that the bear could reassert itself at any moment. That being said, rebounds in miners (and general markets) tend to last well beyond one year before there is any significant correction, and the final bottom for miners was in December 2013, so there is plenty of additional upside potential directly ahead. 2. Get on Board – NOW! We’re On the Verge of a Major Bull Market Advance Across the PM Sector.